The new platform allows consumers to charge the cost of small purchases to their mobile phone bill by tapping tags affixed to promotional merchandise, advertising displays, posters and products as well as tags built into key fobs, pens and more. 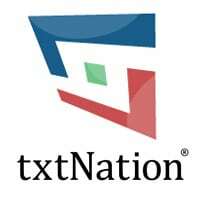 Mobile billing and message aggregator txtNation has partnered with NFC vendor RapidNFC to launch a direct carrier billing service for low value purchases. The solution works in any country where carriers support MSISDN pass-through, enabling subscribers to make use of one-click billing, and is currently on trial in the UK with Payforit, a joint service offered by all the UK’s mobile network operators that was initially designed for purchasing items of mobile content. Now, with the addition of NFC, Payforit can be used for real world transactions too. There is no sign-up process or need to link up a bank account; users’ purchases are simply charged to their mobile contract or deducted from their pay-as-you-go balance. To use the service, customers tap an NFC tag, which can be incorporated into a wide range of products from posters to key fobs, to launch a payment interface on their phone. There, they click a ‘Pay now’ button. TxtNation servers process the payment requests and receipts with the user’s mobile network provider, reporting in real time to the merchant on each transaction. Once verified, the user receives a notification of successful payment via SMS. Transaction fees vary between networks — and can be up to 15%. “We wanted to make Payforit mobile payments available in offline environments and NFC was the perfect trigger to launch the payment screens to the consumer’s device,” Danny Marino, chief business development officer at txtNation told NFC World. Phil Coote, CEO at RapidNFC, told NFC World: “We were approached by txtNation and we set to work on a prototype right away. Some of our clients need a more sophisticated payment service but for other clients, this is the perfect solution.